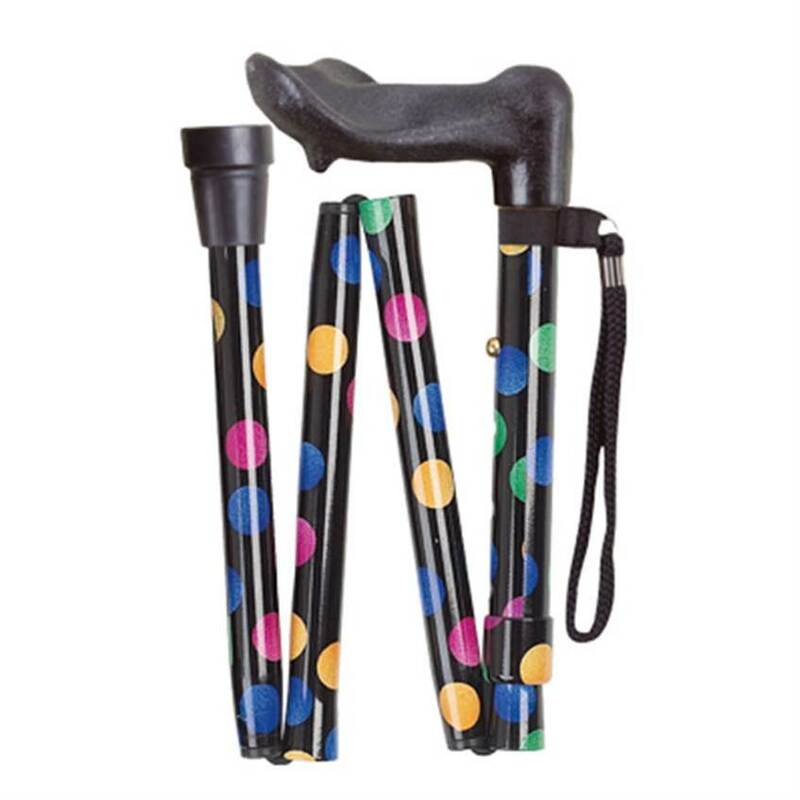 Offering the positive, natural comfort of the anatomical handle and the practicality of a folding, adjustable stick with a strong, lightweight aluminium shaft. 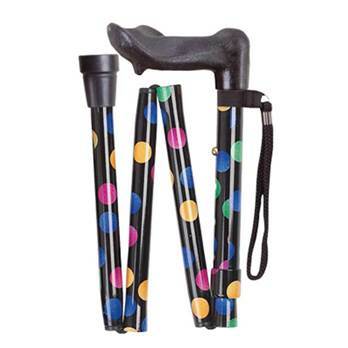 Comes with a wrist cord and is adjustable in height from 32 inch to 36 inch. Item exactly as I had wanted. delivery next working day. delighted with firm and item. thank you.